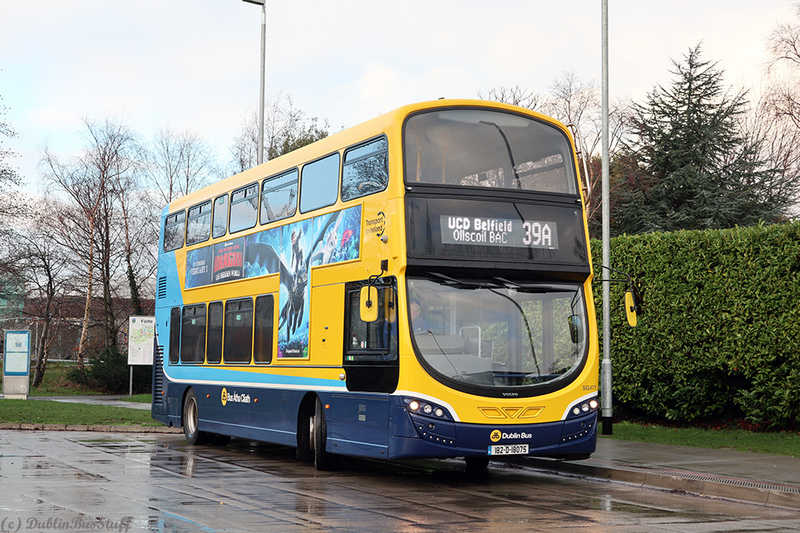 Phibsborough's SG471 is seen operating Route 39A at its Belfield Terminus on the 18th January 2019 (click on photo for larger version). SG471 was one of a few photos that closed the year in 2018 on this site in the last update of that year. However, a single shot of an unusual bus is not sufficient, so this week's feature shows a few more. It's unique white LED is an interesting development. 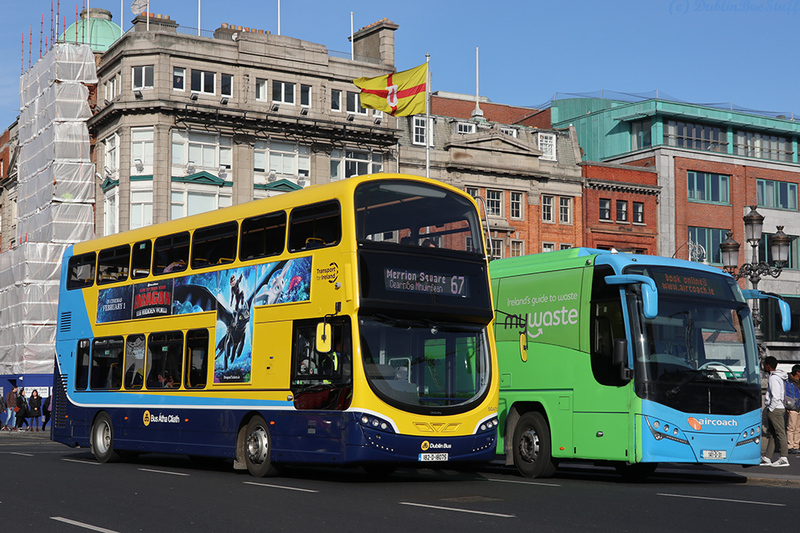 What's strange is good, especially as the SG fleet reaches SG544 in Ringsend. However, I still believe the orange LED looks better with the yellow livery. Ultimately it will probably be ease of reading which will dictate which LED style is used going forward. Sources have indicated that SG471 will not be unique with this LED, and another SG will get one, however no concrete details are available at this stage. 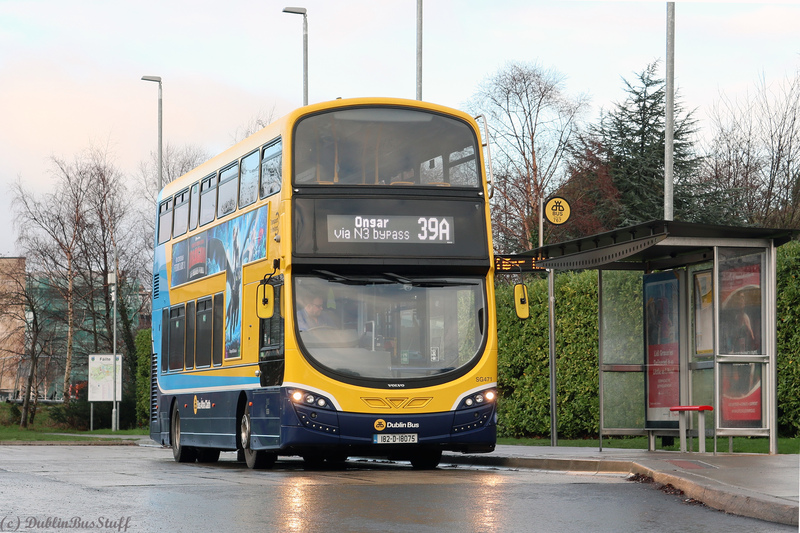 SG471 is seen on O'Connell Bridge operating Route 67 on the 15th February 2019 (click on photo for larger version). SG471 is seen departing Belfield on Route 39A to Ongar on the 18th January 2019 (click on photo for larger version).